The student loan scam only creates the potential for evil. We would not have over 20,000,000 citizens trapped in a deadly debt spiral if our higher education system had not exploited that potential as ruthlessly as possible. Technically, this scam is an unholy alliance between our Federal government, which backs the loans and enforces collection, and higher ed, but this is merely an implicit alliance. Yes, the universities made about 1.5 trillion dollars off the alliance while the Federal government only gets a few billion a year, but neither party necessarily deals with each other directly. Instead, our fraudulent accreditation facilitates the loan scam, so both allies can say the situation isn’t their fault. The alliance between our schools and the banks which nominally provide the loans, however, isn’t so murky. Oh how I loathed the ATM machine on campus, which would disburse student loan “refunds” (yes, that’s the word admin uses for it) to the students. The ATM, normally abandoned while students were in classes, would see a long line once “check day,” i.e., the day when the money becomes available for withdrawal, arrived on campus. Classes would empty out on that day, never to fill again until the next semester. Funneling Students to Bank Fees? California State University has a sweetheart deal where students can basically use their bank card as student ID…for a fee, of course. How convenient, indeed. Honest, higher education used to be about education, but it really seems the system has become ever more financialized over the years…no surprise, since the system floats on endless loan money—loans the students are on the hook for, not the system. With that kind of structure, it’s no surprise at all. So now we have an explicit alliance between the university and one particular bank, Wells Fargo. How’s it working out? How delightful! I’m so pleased that the university has established that it feels it should get a near 20% commission on any funds raised by anyone doing business on their campus. I imagine the gentle reader is confused by my joy, so let me explain. A typical teacher in higher ed is an adjunct, paid perhaps $2,000 a course. The above guideline, if followed for teachers in higher ed, would mean some extraordinary pay raises are in order. Allow me to explain. A course can contain 100 students (possibly a thousand, and seldom less than 30, so take this as a generous average), and each student is paying at least $2,000 for the course (and $5,000 or more is quite plausible). Doing the math here, the adjunct is raising some $200,000 per course while doing business on campus. After providing the 20% the university says is fair, that would mean adjunct pay should be on the order of $160,000 per course. Teach a full load of courses, and your typical adjunct would be making the kind of money mid to upper administrators get! I know, I’ll be waiting in vain for the announcement of across-the-board 8,000% pay raises for faculty…but I really feel the need to highlight just how exploitative the higher education system is today. Getting back on point, the university steers students into this bank, which, like most banks to be sure, liberally slathers arbitrary fees on students…and passes on a commission to the university. It really is fascinating how I’m forbidden selling textbooks to my students (conflict of interest! ), forbidden from tutoring my students (conflict of interest! ), forbidden from working for other institutions (conflict of interest! ), among quite a few other activities I totally respect I should not do, due to conflicts of interest. I just wish the rules applied to my bosses, is all. I should also mention I’m not asking for a pay raise, I’d be happy enough with an 80% reduction in tuition, and firing a commensurate amount of administrators. Higher education isn’t supposed to be about putting people into a lifetime of debt slavery. …But detractors say some colleges are funneling students to banks that take advantage of their young customers with high, unexpected fees that could be avoided if only students shopped around for better terms. 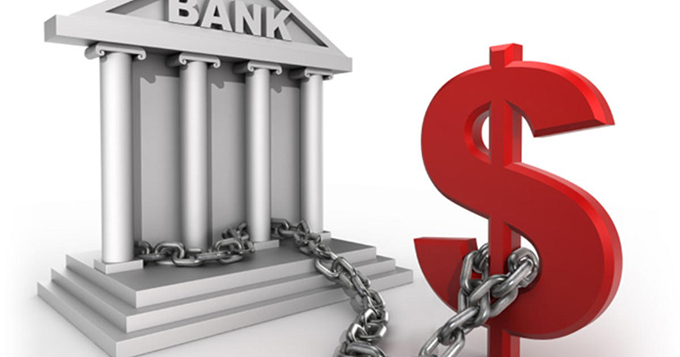 A 2016 report from the Consumer Financial Protection Bureau found dozens of college banking deals place no limit on account charges like overdraft or ATM fees. I’m not actually picking on this university and bank, lots of schools make these sweetheart deals where the school brings in suckers students to the bank, for a small finder’s fine. Universities are all about funneling students to high-priced services. It starts, of course, with tuition, and let’s not forget the bookstore (I’m so glad the online world has finally provided ways for students to not get hammered by textbook prices so abusively). Then students get shuttled over to expensive dorms. Then come pricey “meal plans” and “recreation fees.” So it’s only natural for universities to continue this trend by setting students up to be buried in bank fees—for a cut, of course. Right now, the universities don’t mind the banks are ripping the students, because they get a cut of the loot. But imagine instead if universities operated with integrity—silly I know, but bear with me. And just like that, there’ be no appearance of conflict of interest between our universities and the banks. I know, it’s just a dream.